© 2018 Somsubhra Bairi. All rights reserved. Have you checked out Jujucharms? 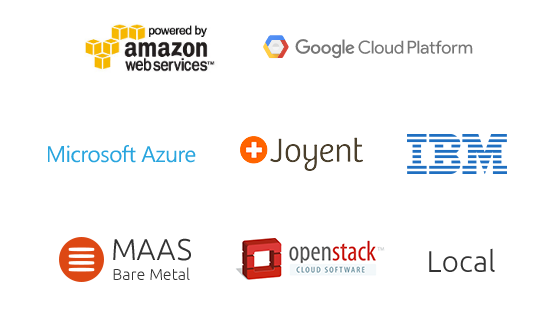 Over the past month, I have been exploring various PaaS providers in the market to study how they package and present their PaaS offerings to the users differently, when someone at work pointed out Jujucharms by Canonical (the same company behind Ubuntu). And taking a first look at it - I immediately liked it, just because of the clear and simple way in which they have presented application and service modelling. You can explore the modelling tool yourself here. As an example, I have a WordPress model setup with the Wordpress nodes scaled to 3, one apache node acting as a reverse proxy to the wordpress nodes, a mysql master database connected to the wordpress nodes and a slave mysql instance. Once done with the modelling, you can deploy the models you generated for your applications and services to any of the public cloud platforms supported by Juju.